Like almost anything that gets the attention of the green movement, the genetic modification of food is a subject on which it's very difficult to find good, balanced coverage - so Rebecca Nesbit's book is a breath of fresh air. 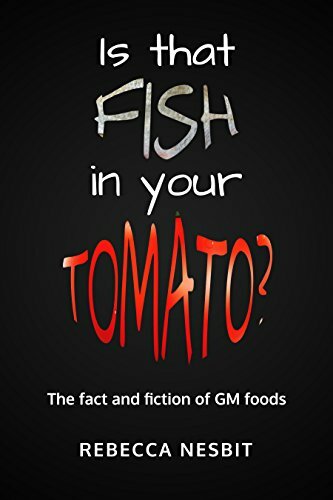 From the title you might think it takes the 'horror stories of GM' approach, but the concept of fish DNA in tomatoes is only mentioned in passing as an example of how misleading information is used - this is a far more nuanced and well-written book. Throughout, Nesbit gives us the science, the potential benefits and the potential threats. She describes from practical experience the protest side (she was anti-GM as a student), but also interviews plenty of scientists involved in GM foods and now has a much more balanced view. She takes us through the early days of GM foods, when it all turned nasty, what's involved in the various processes labelled as GM and much more. In crops there are whole chapters on insect resistance and herbicide tolerance, and she looks at the possibilities for using GM to increase production, modify animals, improve nutrition and use GM for non-food crops, such as biofuels. In the final chapters, she brings the pros and cons in focus and makes an argument for seeing GM as just one tool in the bigger picture of feeding humanity sustainably. What strongly comes through here is the intransigence of environmental organisations and the organic movement, who clearly aren't interested in benefits, simply looking for ways to stop GM in a knee-jerk reaction, even when the alternatives are far worse for us and for the environment. Equally, Nesbit makes it clear that GM isn't always the right solution and points out the difficulties, particularly for traditional farmers in developing nations who aren't always given sufficient education to use GM crops effectively. Although there's a lot of detail here, it is handled in a good humoured and engaging way, making use of examples and details of the people involved to keep it interesting. The only time I'd say the book flags a little is in the final chapters, where the content starts to feel a little repetitious because we've had so many examples of quite similar applications, and Nesbit's careful way of always making sure we're aware of the pros and cons makes it feel like she perhaps needs to come down more firmly on the areas where GM should be used and where it shouldn't. There was also one rather strange argument in the section about using GM to improve the nutritional content of crops: '... research into biofortified crops is often a collaboration between scientists from the developed world and those from the countries set to benefit. Are scientists from richer countries providing essential skills and funding, or should such projects be led entirely by scientists from the regions which are seeking to benefit?' This just seems a strange question when scientists in all fields are always telling us how essential free international collaboration is - to apply a kind of scientific apartheid seems an odd thing to even consider. This is perhaps an example where giving a balanced view can come a little close to fence sitting. Overall, though, this is a book that is really important in a field where science has for the last 20 years been pushed out of the way by tabloid hysteria, over-powerful pressure groups, corporate greed and regulatory incompetence. 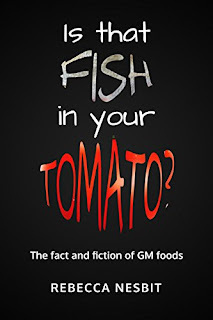 Is that Fish in Your Tomato? refreshingly cuts through to the heart of the GM debate and is recommended reading for anyone interested in the environment and food (or, for that matter, politics).